Most people have the misconception that February 14 is Valentine's Day. In our family it is Katrina Day because it is her birthday. 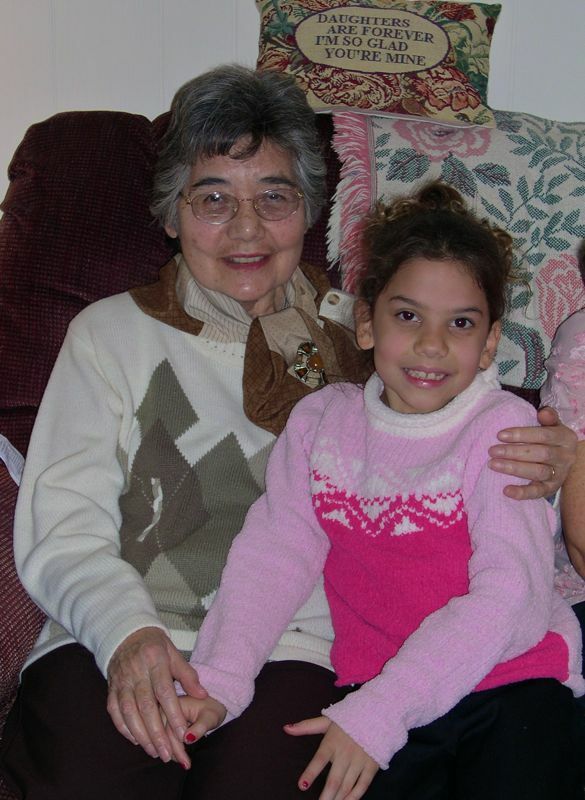 I was looking for a birthday photo from one of her earlier birthdays and I found this one from 2002 of my Mom and my Daughter. The saying on the pillow behind their heads caught my eye. WIthout my Grandmother's daughter (that would be my mom) and my Mom's daughter (that would be me), my daughter Katrina's birthday would not be being celebrated today. Katrina is a special link to me in my family. My Grandfather's name was Valentine. His wife, my Grandmother, was named Marion. On Valentine's Day, 1994, Katrina Marion Faust was born. She always named all of her dolls Rose and she eventually chose that name as her confirmation name. And so, Happy Valentine's Birthday to Katrina Marion Rose Faust.